October is breast cancer awareness month, and cities and towns across the country are painted, illuminated, or otherwise covered in pink. Companies are in on the act as well, with many offering pink versions of their products—from work boots to kitchen appliances, playing cards to camping trailers. Some of these companies have made generous contributions to breast cancer awareness and research over the years. For example, since 1992, Avon alone has raised $815 million for various breast cancer programs. Does all this pink generate green? Research has been largely inconclusive on the potential link between corporate social responsibility (CSR) and financial performance. While some companies have certainly proven true the adage “doing well by doing good,” research on the whole has shown only a small positive relationship between social involvement and a company’s economic performance. And many of these studies, critics say, are hampered by methodological issues. But what about breast cancer awareness? 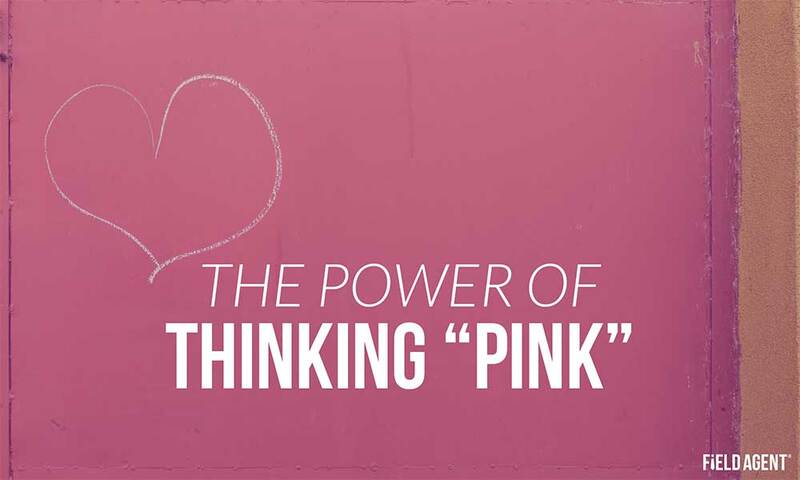 More specifically, do consumers “think pink” when shopping brands? 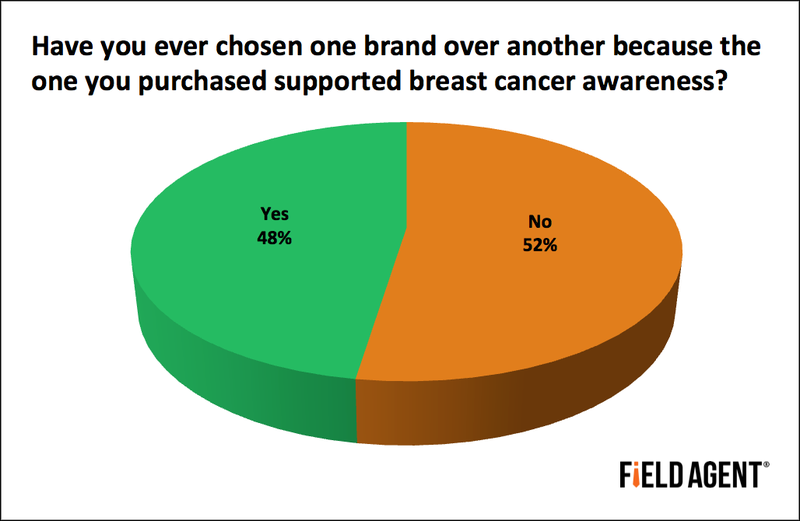 On different occasions, Field Agent has asked consumers if they have made a purchase decision of one brand over another because the one they purchased supported breast cancer awareness. Just this past weekend we posed this question to 250 moms. A slim majority (52%) responded “no,” that they had never bought one brand over another because of its “pink” ties. This was actually a smaller majority than an early August study of ours, in which 58% of 250 consumers (females = 175; males = 75) answered “no” on this same question. 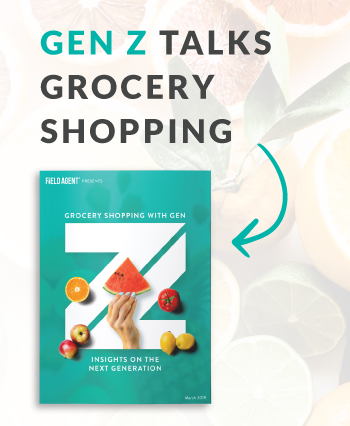 The subset of men in the sample responded 60% “no” and 40% “yes.” Both mobile surveys, therefore, showed that while pink brands do enjoy influence over consumers, the majority of shoppers remain unswayed when making brand selections. But even if these consumers, those who have actually chosen a pink brand over a competitor, are in the minority, what about a less direct benefit to brands and retailers? Companies supporting breast cancer awareness might, for instance, benefit from greater goodwill among shoppers. On the other hand, perhaps consumers have become cynical of pink-branded merchandise, seeing it as little more than a marketing tactic? In a Time opinion piece, Charlotte Alter wrote, “Going pink has become more of a branding opportunity than a public service.” Maybe consumers agree? Consequently, we wanted to assess customers’ attitudes about “pink” marketing and its effect on brand perceptions. 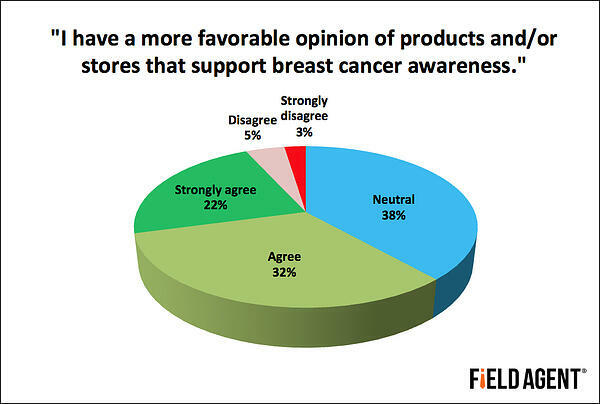 We asked our sample of 250 mothers to what extent they agree with the following statement: “I have a more favorable opinion of products and/or stores that support breast cancer awareness.” The majority (54%) agreed or strongly agreed with the statement, while only 8% were in strong or mild disagreement. 38% were neutral—neither agreeing nor disagreeing. These results suggest that companies are not likely to harm their brands with pink promotions, and they might even improve their reputations with a small majority of female shoppers. Attitudes strongly influence how consumers behave—what they buy, when they buy, how they buy. And mobile market research has made it faster and more affordable to gauge consumers’ attitudes, homing in on the target demographics most important to product or brand success. From breast cancer awareness to holiday shopping, mobile research empowers companies to understand what influences and motivates their customers.